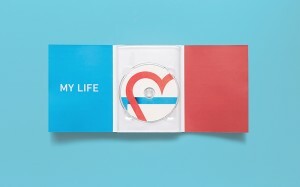 This media packaging solution we found on thedieline.com was designed by Anagrama. The concept is for a company named Biovideo; an organization that has charged themselves with the purpose of helping new parents document and relive their baby’s first moments. 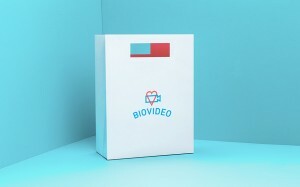 Biovideo is a combination of both product and service. After their staff films that first days at the hospital, they load the movie online and offer to the family to view and share with loved ones online. However, they believe it is important for the baby to have their very copy, so they have partnered with Johnson’s Baby and New York Life to provide the service free of charge at select partner hospitals. The branding on the packaging uses rounded type and a clean and simple color palette. The minimal design and uniquely representative logo gives supports the baby theme without being overbearing or cliché.